As expert Party Wall Surveyors, we can help you to successfully negotiate any Party Wall matter affecting your property. A ‘Party Wall’ is any structure on the boundary between two properties. When you want to carry out any building work on or near this boundary, you need to inform any neighbours whose properties might be affected. These neighbours, the ‘Adjoining Owners’, can’t prevent you from carrying out this work, but they can impact how and when the work is carried out under the Party Wall etc Act 1996. A Party Wall is a wall shared between two properties, each being owned by a different person. 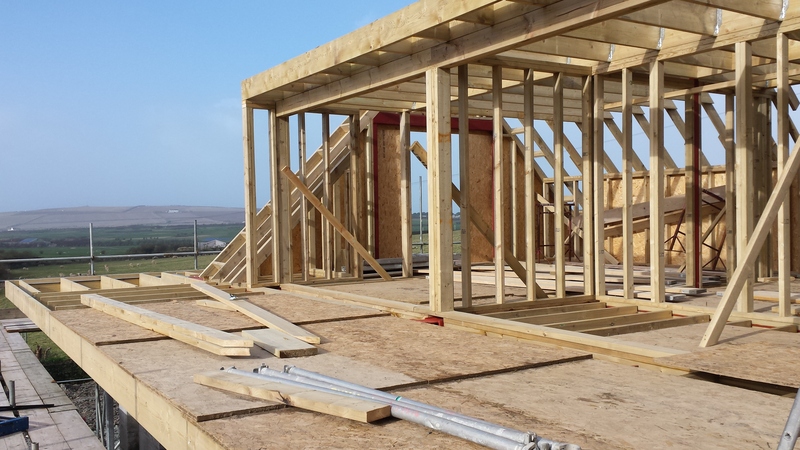 Before undertaking any works that will affect the party wall such as structural alterations, extensions, rooms in the roof, etc., certain procedures must be followed, as set out by the Party Wall etc. Act 1996. The Act must also be followed if excavations are planned within 3 or 6 metres of a neighbouring property, as per the diagrams within our Party Wall Guide, a link to which is shown below. It is necessary to serve Notice on the Adjoining Owners of any proposed building works well in advance of when you plan to start. If the Adjoining Owners consent to the works they need to return an Agreement Form to you within two weeks, and no further action is required. Alternatively, if your Adjoining Owners dissent to the works as they stand then a Party Wall Award needs to be created so that an agreement can be reached. As Building Owners, it’s vital you employ an expert Party Wall Surveyor to work with both parties to reach an agreement on how and when building works are carried out. A Party Wall Surveyor works on behalf of the Party Wall, so it is possible for both parties to use the same Agreed Surveyor. Alternatively, the parties can employ the services of separate Party Wall Surveyors who will work together to reach an agreement. The Party Wall Surveyors will draft a Party Wall Award which describes the works, what will happen and when, and outlines precisely the condition of the party structure and the Adjoining Owner’s property so that once building work has finished, the property and affected structures are returned to their original state. The Award also outlines who will cover the costs of any repair work and the Surveyor fees; usually the Building Owner.